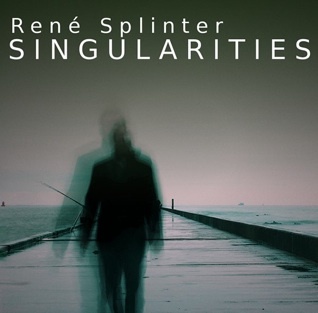 I’ve always been in love with the Tangerine Dream sound Rene Splinter creates with each of his releases. And his latest album ‘Singularities’ is no exception!. The album will indulge you in a serene world of electronic music that WILL leave you breathless for a long time, and make you beg for more of the same. The music that Rene creates is always leaning towards classic 80’s sequencing electronic music. And with this album he certainly have eclipsed himself. Each and every track has that stunning melodic and fresh feel to it, and all of the tracks on this album progresses through in great harmony and with some of the very best sequencing I’ve heard in ages!. The opening track ‘Singularities’ has to be one of my favorites. It starts out in a moody yet uplifting way, with some soft melodic synth pads, which later builds up in a slow moving way with more sequencing and powerful grooves added to it as the track progresses through. The best part of this track is after the 8 or 9 minute mark, as all of the ingredients are all there and really pushes Rene’s magical touch to the limit!. Superb powerful and moving EM of the highest order is what we have here!. Talk about ear bliss! 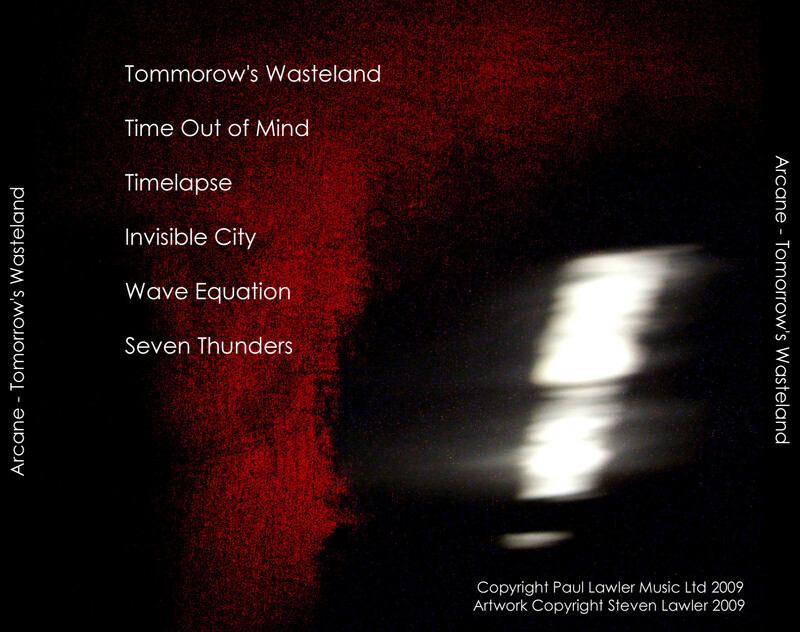 Other highly notable tracks are ‘Timescapes’ and ‘The Time Traveller’. 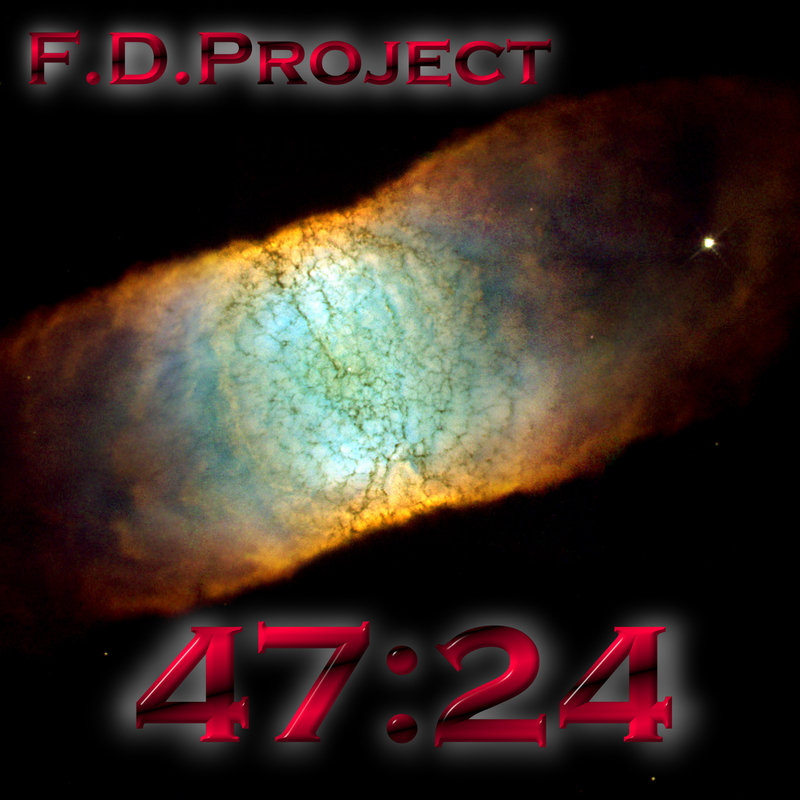 These tracks are marvelous melodic pieces from start to finish. Both tracks has that truly awesome and infectious sound of the mid 80’s. 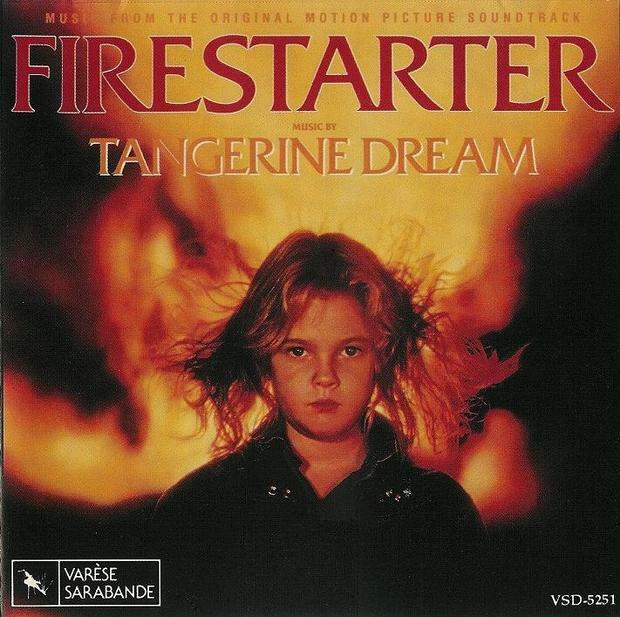 Think ‘Tangerine Dream’ and the music from soundtracks such as ‘Firestarter’ and ‘Heartbreakers’ and this is what you will hear!. 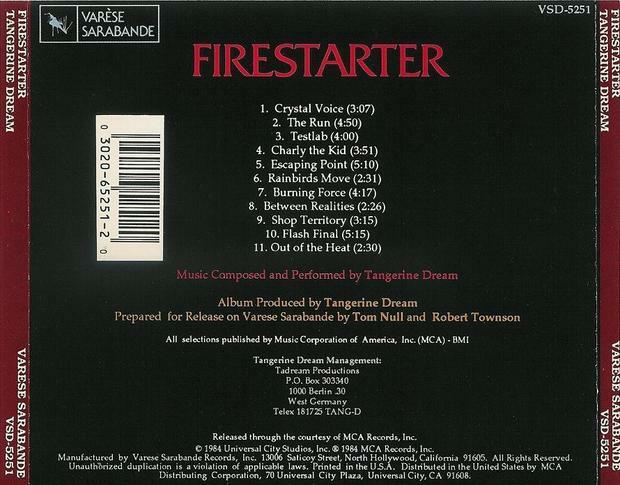 Personally, I’m a big fan of the ‘Firestarter’ soundtrack, so I was very pleased to hear these tracks, along with ‘The Lighthouse’, which is yet another remarkable piece that will leave you breathless without question. Now, all this said, I seriously have to admit that ‘Singularities’ is easily one of the best synth albums I’ve ever listened to, with the exception of ‘David Helpling & Jon Jenkins’ album ‘The Crossing’ (2010). Highly recommend album to any fan of quality EM of the highest order!. Epic ear bliss! The music you will hear on this album is absolutely breathtaking. It could best be described as a cross between David Helpling & Jon Jenkins style and the rhythmic side of Tangerine Dream. Particularly their 80’s years. Now that’s a combination I like!. All of the tracks here flows into one another in a gorgeous way, and played with heart and emotion from start to finish. And speaking of emotion, If you listen to the track ‘So Many Miles To Go’ you will be blown away with it’s infectious synth passages and the slow moving and epic atmosphere. A track that’s filled with hope, sadness and a dash of longing. Breathtaking synth piece!. 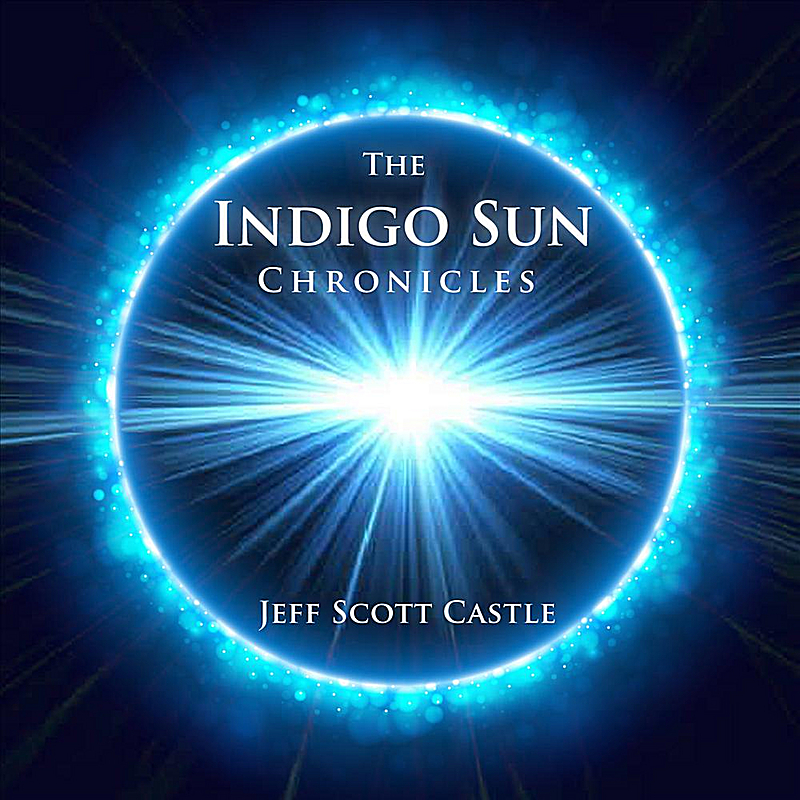 Other extremely epic tracks on this wonderful album are ‘Indigo Sun Theme’ and ‘In Search of Life’. Those two showcases another sensible side of the artist ‘Jeff Scott Castle’. They also deliver an epic ammount of heavenly beautiful synth passages that you simply can’t get enough of. My room was filled with positive and uplifting emotions when I played this album during the evening at home. 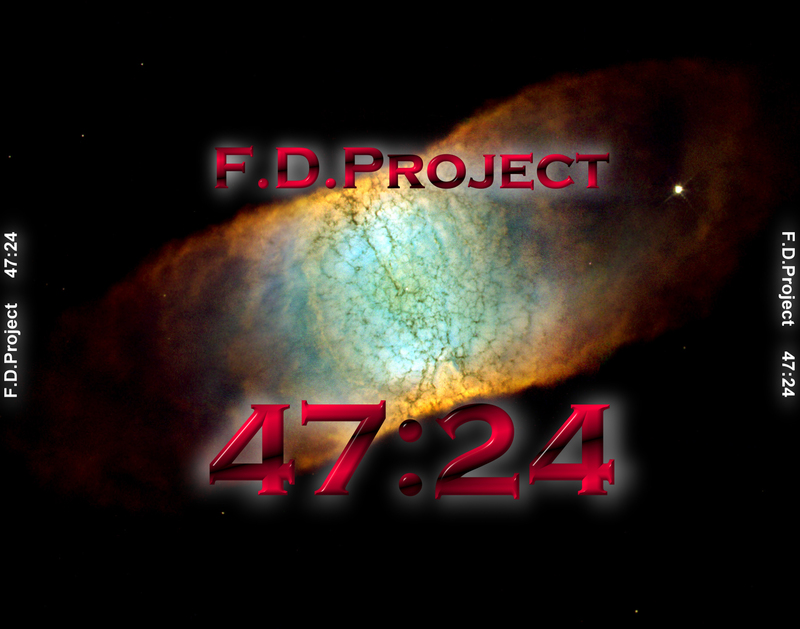 I was totally blown away by it’s rich atmospheric sound, a sound very few I can think of as I write this can immitate. Not even TD knows the recipe that Jeff has conjured up on this marvelous album. All I can say for now is…GET THIS ALBUM!. You won’t find a better synth album this year. To be honest, I doubt there will ever be another synth album sounding this good ever. That is, unless Jeff comes up with new ideas, and follow up the sound he has delivered on this album. So to summon up this album with one word, all I can say is….EPIC!! 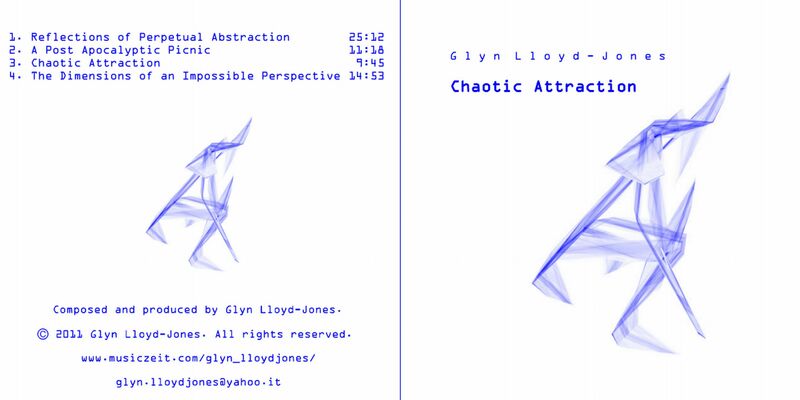 A new incredibly infectious album has surfaced by the great ‘Glyn Lloyd-Jones’. And if you, just like me, love the 80’s output from Tangerine Dream, with albums such as ‘Poland’ and ‘Logos’, then you’ll LOVE what this album has to offer you!. It could have been entitled ‘Poland’ Pt.2 for all I know!. As for the music. All four tracks are filled with late 70’s to mid 80’s synth bliss material from the moment you press play. The brilliant long piece ‘Reflections of Perpetual Abstraction’ is proof of that. The structure of that track is outstanding and gives me chills down my spine each time I listen to it. No, it’s not that scary, just THAT good!. 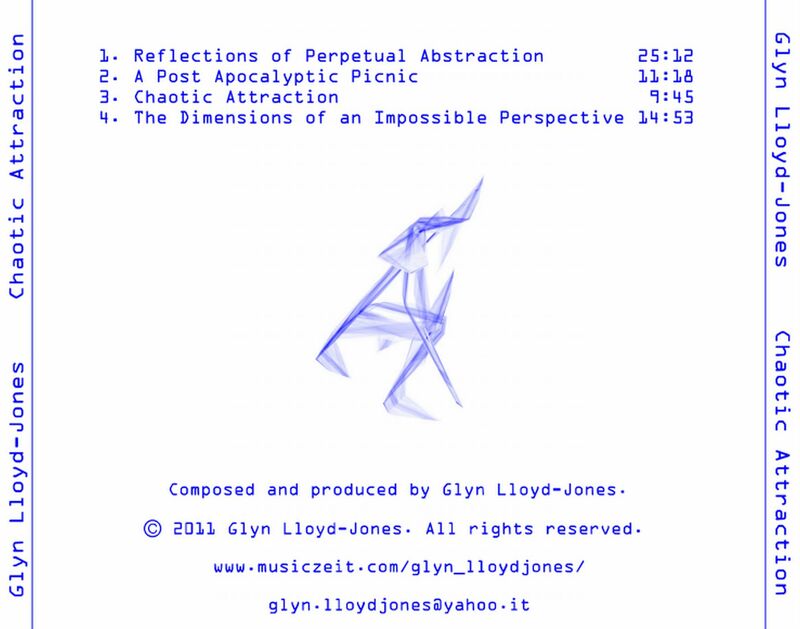 But most notable is the last track that really turns my ears on called ‘The Dimensions of an Impossible Perspective’. That perfect 80’s sequencing sound is there with infectious rhythms building up the track in all it’s supreme glory. 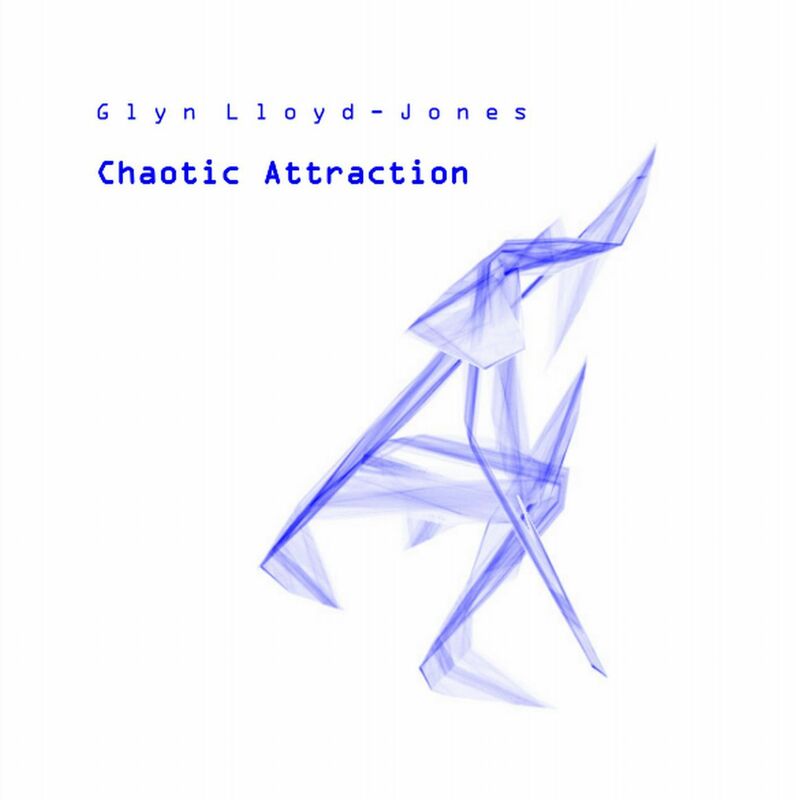 I would say it reminds me alot of the album ‘Alterstill’ by ‘Arcane’ (Paul Lawler), yet Glyn’s unmistakeable sound is always present, keeping the rich atmosphere exiting. This album will, without a doubt, appeal to fans of the great mid 80’s sequencer driven EM style. Also highly recommended if you loved albums such as ‘Poland’ by Tangerine Dream (which I know you did!). Buy it, you won’t regret it, but you will regret that you didn’t if you don’t!. 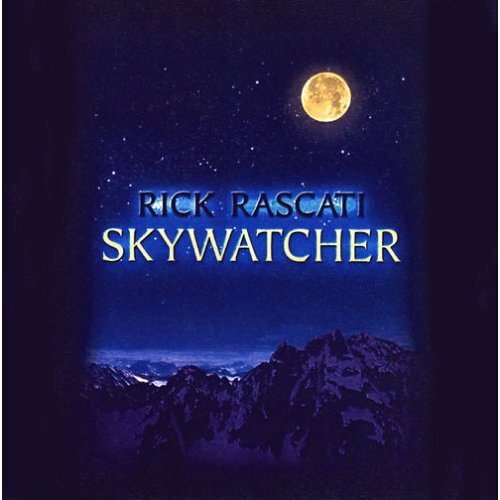 I came across this beautifully crafted CD while browsing CDBABY for new Ambient/New Age music. And I can’t say I’m disappointed a bit!. This release contains a strong versatile mix of tunes, with everything ranging from ambient and atmospheric synth layers to a more uptempo trance music feel. I don’t know how Rick managed to combine all these beautiful elements the way he did it, but I do know this. If you like ‘Tangerine Dream’ and ‘Future World Orchestra’, then this album is definetely for you!. Even some ‘Serrie’ sounding synth textures can be heard, especially on the first track ‘TimeSpaceContinuum’, which is one of the best pieces on the disc after the incredibly spacey (and TD sounding) ‘Heaven’s Path’, a track that has some incredibly stunning and swooshing synth layers that will capture your ears before you know it!. The whole CD is an infectious thrillride through the many aspects of the EM ‘scene’ and will take you to otherworldly places in the universe with it’s majestic and spacey sound and feel. It’s like travelling without moving!. All in all, this is a well crafted epic release full of lush sounds not of this earth, created by a very unique artist that I will be looking forward to in the future!. So what can I say? Another must-buy!! 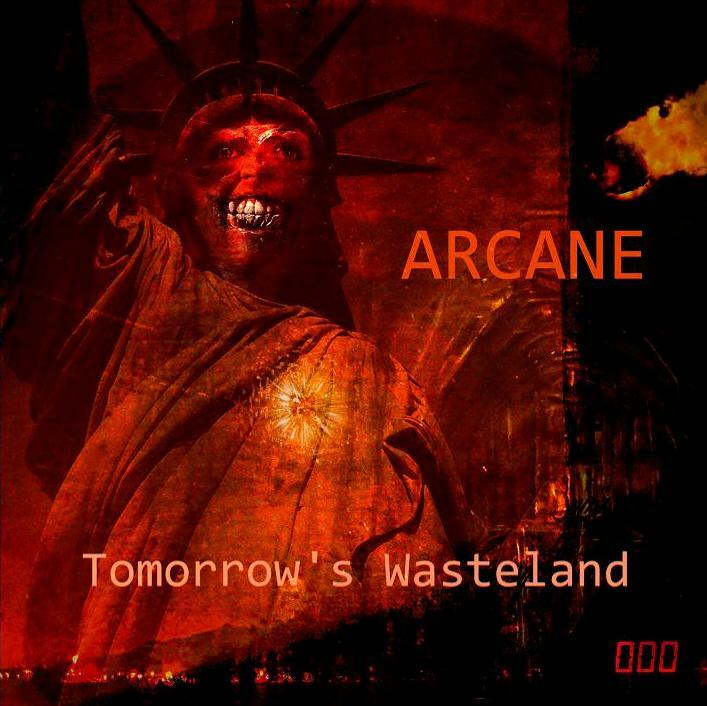 With ‘Tomorrow’s Wasteland’, Arcane shows us yet again that making infectious 80’s sounding synth music out of the ordinary is still possible. Arcane has many great releases up their sleeve, and this one is one of the best released so far. This is, again, one of those “TD meets “TD” syndromes, but yet Paul Lawler (the man behind this great music) does include many of his own ideas and distinctive sounds to the menu here. 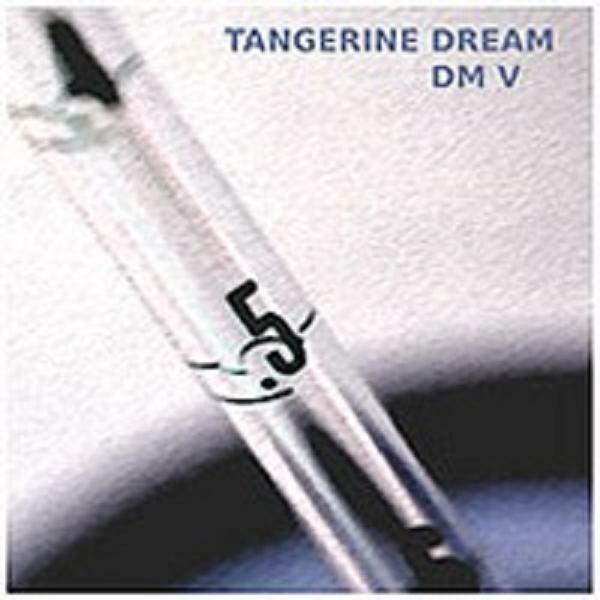 Surely, if you listen through this CD once you will instantly be taken back to the heydays of Tangerine Dream during their 80’s period of time, but if you listen closely there are a few sounds here and there that are highly typical for Arcane. And being an 80’s fanatic myself, I really love what I hear on this excellent and well-produced offering. All the tracks are pure mid 80’s sounding EM, and a couple of great examples are the tracks ‘Invisible City’ and ‘Wave Equation’. These two tracks are being played with such infectiousness and awesomeness, and made me drool for more. You can easily play those tracks over and over again. I find it very hard to get tired of them. They have that perfectly balanced 80’s sound with a great progressive feel that builds nicely along the synth lines that’s pulsating back and forth in the background. 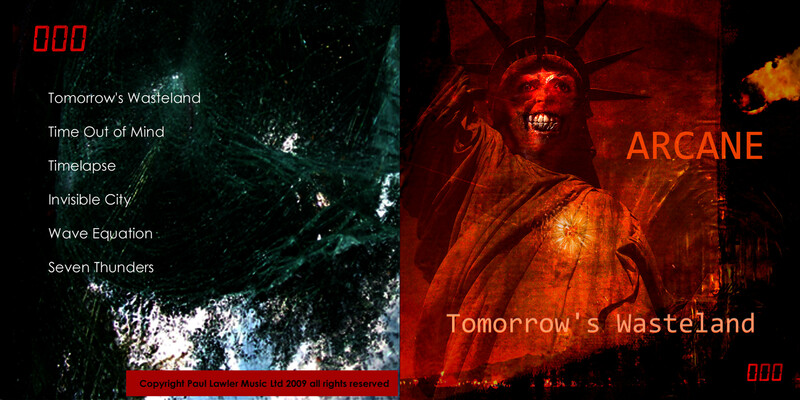 The rest of the CD also offers the listener a great variety of Progressive EM. Another very good example would be ‘Time out of Mind’. This is probably the most progressive track of them all and has a feel and vibe that a typical TD track wouldn’t be without. Brilliant synth hooks and highly effective progressive elements is what this track has to offer. All in all, this CD is a definite must-buy, and especially for fans of 80’s EM fashion. You simply can’t go wrong with a release such as this one. Everything you will hear on this CD is played immaculate and will stand the test of time for a long long time!. This is simply said yet another masterpiece from the Arcane ‘vault’. Get it! The atmosphere that Gert Emmens & Cadenced Haven has conjured up on ‘Peregrination’ is stunning. These two magicians knows how to make infectious EM with an exiting atmosphere that keeps the interest and exitement up from the 1st track to the last. Rarely do I get to hear such extraordinary EM like this!. The 1st track, ‘Devoted Loss’ , introduces us with a woman singing “aahs and ooohs” together with some catchy sequencing mixed with perfectly balanced rhythms that keeps building with it’s infectious & cinematic feel. It has a great re-play factor, and is definetely the stand-out track on the entire CD, simply a masterpiece of it’s own!. This is Gert and Cadenced Haven at their very best!. The following track called ‘Confronting Conscience’ follows up with a subtle and slow sequence that soon gets accompanied by a lush and serene rhythmic beat that is full of magic. I like how it comes along with the mystic sequencing in the background. Coming next is ‘Atmosphere Of Amalgamation’. This one is perhaps one of the more fast-paced sequencer tracks on the CD. It has a distinctive and rapid synth approach and is sounding very much like a typical Gert Emmens track, but some of the background synth sounds has the flavour of ‘Cadenced Haven’ aswell, and carries the music away nicely!. Perhaps just slightly repetitive, but great sounding nevertheless!. As we get further into the world of ‘Peregrination’ we also get more and more indulged by it, and ‘Reversion To The Unborn’ shows just that. This track features a more varied style in EM, and is less focused on sequencing and more onto drums and rhythmic patterns. ‘Path To Phenomenon’ starts out in a hypnotic manner and builds on that with other nice vocal sounds and synth effects. After a while a sharp edged sequence kicks in with a background Grand piano sound that closes the track in a nice, almost classical way. Further on, ‘Virtual Reality’ slowly emerge. Here we get to hear long, melodic sequencing, almost space-music sounding. When listening to this track, I quickly get reminded about the works of ‘Jonn Serrie’. But this track offers a more versatile style than just your ordinary space-music. It comes with swirling synth effects and other rhythmic structures, and at times a futuristic sci-fi sounding sounds appears to make things more interesting. Next is ‘Catalysis’ and is yet another cracking sequencer track!. 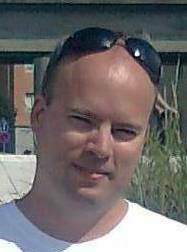 Excellent catchy melodic sequencing and flow with top notch rhythm is what we will find here!. This track and ‘Devoted Loss’ are among my favourite tracks, and they do stand out from the rest quite a bit, probably because of it’s melodic style and structure. Brilliant!. ‘The Silent Visit’ (I like the name of this track alot, very innovative!) has influences of nature, as you can clearly hear the rain pouring in the background. A very mystifying track with some haunting moments and subtle sequencing. If you like Enigma or ‘Dreamaiden’ then this is for you. It certainly has the feel and structure of a typical Enigma/Dreamaiden track. Anyway, this track is not entirely a Enigma sounding track though, it certainly has alot more to offer the listener, and it’s obvious after the 5 min mark and onwards. Another very good track with great harmony!. So, the conclusion is the track ‘Conclusion’. As said before in my ‘Gert Emmens’- Nearest Faraway Place vol.3′ review (in which this track is featured), this track has a very laid back atmosphere. It is rather cinematic and could easily be considered as a ‘End Title’ track from a film. Some nice but dark sequencing is breathing in the background and closes the album perfectly!. I would highly recommend this album for fans of ‘Gert Emmens’ music in general, and for those who are seeking something new and innovative when it comes to EM. Also, sequencer fans will have tons to enjoy here aswell! This is definetely a new EM masterpiece in my collection, and I can’t wait to hear more from these two very talanted artists. I can’t do anythjing else but give this album a 5 star ranking. So, 5 stars out of 5 from me!. Another infectious EM peregrination for sure!. A Must buy! The music you will hear on this album is more or less a homage to Tangerine Dream’s classic album ‘Tangram’ or perhaps it’s leaning more towards the album ‘Logos’, you decide. Whatever you choose it to be, this album has lots and lots of goodies to deliver to your ears. Frank Dorittke shows that it’s not neccesary to have a line-up consisting of 4 or 5 persons to conjure up a great sounding long-form EM trip. Yet again we get to hear Frank’s lushious guitar playing here and there, though most of it will be featured near the end of the CD. And on top of that there will be quite a few ear pleasing EM moments, and fans of long and slowly evolving sequencing will find lots to enjoy on this disc. Surely 47:24 is not as good as say ‘Tangram’ if you ask me, but there are many similarities, and what stands out from the rest is Frank’s brilliant, sometimes subtle, use of his guitar playing that shows up here and there when you least expect it. But when those moments kicks in you will be in for a real treat and sometimes even get a little surprised!. I like this album alot, it’s not a masterpiece, but not far from it either. Simply put, if you like TD in general then I’m sure you will find quite alot on this release to please your ears from time to time!. Recommended! 3.5 stars out of 5 from me!. 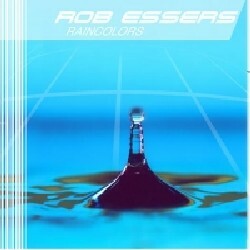 Rob Essers is from Holland, and is a one-man Tangerine Dream army with his Electronic equipment. I’m saying this becasue it ‘s sometimes very hard to tell whether or not this is a TD album or not. Nevertheless, this is an outstanding 80’s TD style sequencing album at it’s very very best!. It has all the infectious 80’s synth elements TD had back then and more. Most of the tracks are top notch EM and sounds both innovative and interesting, and comes with a cover and artwork that represents the music very well. On the back of the CD cover you can see Rob’s studio along with some of his gear. The opening track offers a refreshing and energetic start with great uptempo sequencing and a bass rhythm that evolves in a somewhat typical TD way, but despite that, Rob’s own creativity is always present and obvious in the mix. Next track, ‘A Walk Through’ is a stunner for sure. This is the best track on the whole CD, and I’m sure Rob was inspired by the album ‘Firestarter’ by TD when he composed this track. It could best be described as ‘Charly the Kid’ in a new dress if you will, or a ‘lost’ Firestarter track. This is awesome 80’s style sequencing at it’s finest. Can’t beat the feeling of that!. ‘Truceless’ follows up with another very typical Soundtrack like theme, and starts with some awesome synth work that slowly builds with a bouncy sequence and pads that shines nicely through the whole track. Another catchy 80’s sounding jewel!. ‘Sparkless’ is a more laid back synth track, but it has it’s moments here and there with some trippy sound effects. Then comes ‘Square One’ which is another rhythmic sequencer track that builds nicely along with a very catchy melody all the way through. ‘Luscious Feelings’ picks up and stirs our imagination with more uptempo EM. ‘Monochromatic’ has a cinematic feel with great sequencing and texture to it. One of the strongest tracks on this CD, and showcases some lush synth guitar magic. ‘Colors of Rain’ is another highlight. Again, fans of mid 80’s TD sound will delight here!. This track is indeed somehting out of the ordinary, and stands out from the rest. Great sequencing, perfectly balanced, and well structured. ‘Loosing Chains’ is a track I have mixed feelings about though. It doesn’t quite stand up there with the rest of the tracks, in terms of quality. Probably my least favorite track. ‘Electron’ on the other hand is marvelous. Starts quietly with a typical late 70’s feel. It sounds a bit like a track taken from the ‘White Eagle’ album by TD. It’s slightly ‘darker’ than the other tracks. After that comes ‘The Trivial Round Of Life’. And what can I say? Wow!. The instrumentation is arranged in beautiful harmony with long swirling sequences and pads that keeps the exitement up along with it’s melodic structure. Another favorite!. The last three tracks on the CD are ‘Bonus Tracks’. ‘The Gateway’ has a great sequencing flow, and carries the track nicely from start to finish with a subtle rhythm in the background. ‘Dream House’ is another cinematic track, almost a bit sci-fi sounding. Excellent composition!. The CD rounds off with another late 80’s sounding EM track called ‘In Locked Places’. Not my favorite, in fact, maybe my least favorite. It’s not really that bad, but it could have been a better track if it wasn’t because of it’s repetitiveness. Not too much going on, I expect more than just a melody on repeat. That said, this is more TD than TD themselves. Fans of 80’s EM won’t be dissapointed. A must-have album! 4 stars out of 5 from me. ‘New songs in a new cool dress”. I doubt I could have said it better myself. The music on TD’s new ‘Dream Mixes’ CD is more infectious than ever before. We get to hear many old classics here but in a all new rendered style. They are all very well structured, and relies very much on the good old TD sound we recognize and love so much, only this time the sound have gotten a touch-up and does indeed sound very refreshing to my ears. There is something for everyone on this CD. If you want something with similar style to late 70’s to early 80’s TD music then listen to ‘Flow Paths’. If you’re more into the 80’s oriented melodic side of TD then the track ‘Scope of Minds’ (my favourite) is for you, with it’s melodic hooks and infectious sequencing. And if a more fast paced atmosphere is for you then go for ‘Hinterland’, as this track really shows off some nice well balanced rhythms,beats and moods along with some incredible sequencing. That said, this CD offers the listener a great variety of TD music. It is probably the most versatile mix of TD stuff out there these days. And having listened to all the ‘Dream Mixes’ CD’s, all I can say is, this is the best of them all!. Most impressive & Highly Recommended!! 5 stars out of 5 from me! I have heard this album more times than any other TD soundtrack/record out there. And I must say that this one is the best ever! You will instantly feel transported into the movie in those scenes where the music took place. You loved the movie (most part because of the music, right? )and you will love the soundtrack aswell. I can guarantee you that! I have a few personal favourites on this one and that would be “Crystal Voice” and “Charly The Kid”. Those songs are VERY moody, typical TD sound from the 80’s era. The rest of the songs are also very good but those songs I mentioned will stick into your head for a long time and you will play this disc over and over again again just to hear them! To sum it up, if you love the 80’s sound from TD and want their best soundtrack ever made without any filler tracks then I would definetely go for this CD! Highly Recommended! !